Why Are Radiology Practices Hot Targets? | VMG Health Why Are Radiology Practices Hot Targets? VMG Health > Insights > Blog > Blog > Why Are Radiology Practices Hot Targets? As consolidation in the healthcare industry continues across the various sectors, the professional practices of Radiology service providers have emerged as leading targets for many investors in the United States. Radiology services and imaging services are related, but are two distinct types of businesses that can be identified and reimbursed separately. They are commonly referred to as “professional fees” (radiology services) and “technical fees” (imaging services). While the transaction activity involving outpatient diagnostic imaging centers (i.e. imaging services) has been slower in the last twelve months, the demand for investments in Radiology services has caught the attention of publicly traded companies such as MEDNAX, Envision Healthcare, Radiology Partners and other private equity backed companies alike. The Radiology services market is an approximate $18 billion market and is highly fragmented, with Envision Healthcare holding 2% of the market share, other national providers holding 3% of the market share, and the remaining 95% distributed amongst health systems and independent radiology groups of various sizes. Additionally, there is an estimated 30,000 to 38,000 practicing radiologists in the United States with approximately 5,300 of them aligned with the top 100 radiology physician groups (by number of radiologists on staff), which accounts for only 14% to 18% of the total practicing radiologists in the country. Similar to other physician organizations including group practices in Dermatology and Ophthalmology, a Radiology practice offers significant opportunities to investors as it relates to scalability and roll-up potential. However, due to the operating nature of a Radiology practice which may only provide the professional interpretation service related to an imaging procedure, the expense structure of a Radiology practice can vary significantly from other physician organizations. For example, a Radiology group is typically not responsible for providing any of the medical and office supplies as these are the responsibility of the facility providing the technical component of the imaging procedure. Additionally, Radiologists are often providing their professional interpretations on-location at the site of service which may be done at a hospital, outpatient diagnostic imaging center, urgent care clinic or physician clinics and, as a result, they do not require their own independent space to provide their professional services. Accordingly, the economics of a Radiology group are not as heavily burdened by variable expenses such as medical and office supplies when volumes increase and they do not incur the significant investment in fixed costs such as office rent. Lastly, unlike other physician organizations, a Radiology group generally has minimal investment in machinery and equipment to operate their business. However, these groups typically do require an investment in their information technology services including a Radiology Information System (RIS) and Electronic Health Records (EHR) to provide efficiency across their practice. Thus, they require lower levels of capital expenditure investments over time to maintain or improve profit margins. As mentioned above, given the nature of their operations, Radiology groups may have a number of professional services agreements with hospitals, outpatient diagnostic imaging centers, urgent care clinics and physician clinics to provide their professional services. These different agreements provide diversification to the Radiology group as they generate revenue from multiple sources and are not reliant upon one source. While the term of any professional services agreement may vary (generally one to five years) based on negotiations, there is stability in a Radiology group with long-term agreements in place with multiple sources. Additionally, a diversified Radiology group provides efficiency and streamlined quality of care to their patients and the referring physicians with their ability to have multiple touch points. While all age groups are utilizers of Radiology services, the largest users are generally those eligible for Medicare and the elderly. Based on information obtained from the United States Census Bureau, there are approximately 46.2 million Americans (14.5% of the total population) over the age of 65. In addition, there are approximately 62.6 million Americans (19.6% of the total population) over the age of 50 which will become eligible for Medicare over the next 10‐15 years. 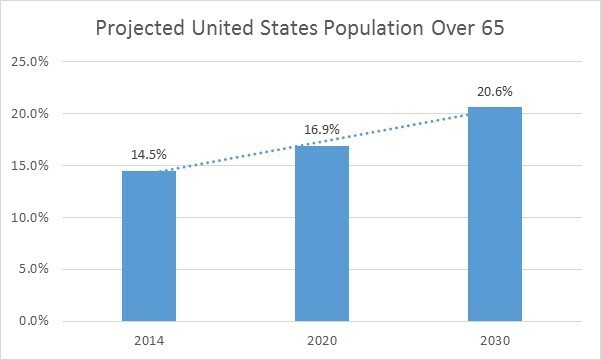 Based on projections published by the United States Census Bureau, the total percentage of the United States population over the age of 65 is projected to increase from 14.5% in 2014 to 16.9% by 2020 and 20.6% by 2030. 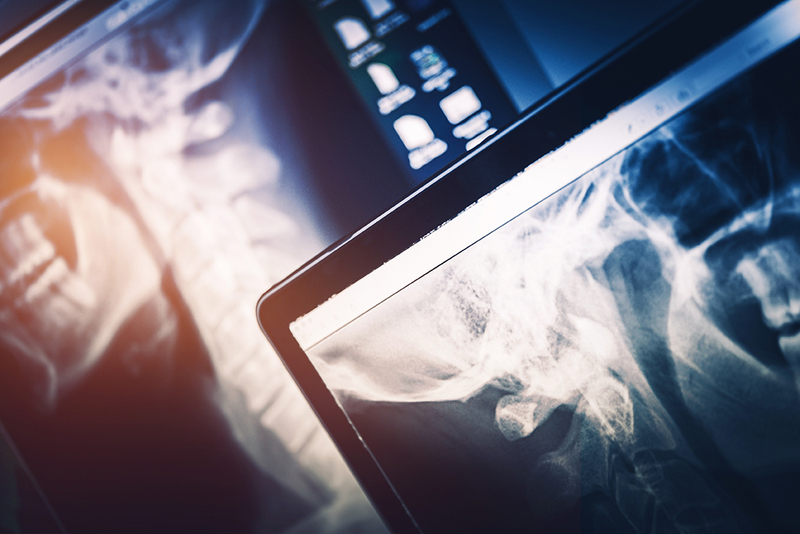 With an improving economy and aging of the United States population, these two factors are anticipated to drive increased demand for radiology services in the future. Lastly, Merritt Hawkins, a leading expert in the physician recruiting industry has stated that there is a shortage of Radiologists in the healthcare industry. According to the Merritt Hawkins 2016 Review of Physician and Advanced Practitioner Recruiting Incentives, “despite new entrants to the field, close to 50% of radiologists are 55 and older and attrition is beginning to reduce the candidate pool.” This is an especially troubling statistic to consider as many are nearing retirement age, and some are choosing to retire early. Thus, the premier Radiology groups who have proven business models and the ability to successfully add physicians are enhanced in value to investors as the supply of radiologists potentially dwindles in the future. While there are certainly challenges and risks to all merger & acquisition transactions that should not be overlooked, the factors discussed above create a favorable environment for investment in Radiology groups. As is the case with any healthcare related transaction, the potential buyers and sellers should understand the common pitfalls and nuances associated with their transaction. Specifically, compliance risks are involved due to the regulatory environment of the healthcare industry, such as documenting that the transaction price has been set at fair market value. In addition, from a business perspective, ensuring the transaction price has considered all pertinent value drivers and the post-transaction compensation levels are critical to any valuation. 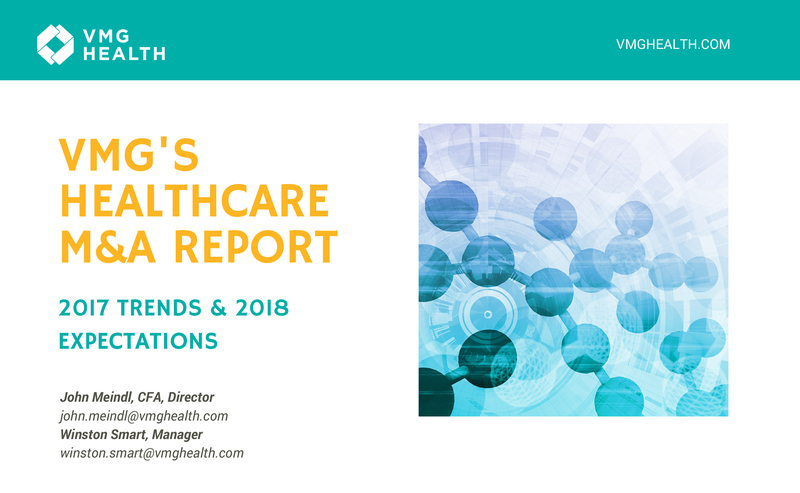 Having a third party, independent, valuation analysis completed by a reputable healthcare focused valuation firm can help identify and alleviate these potential concerns.